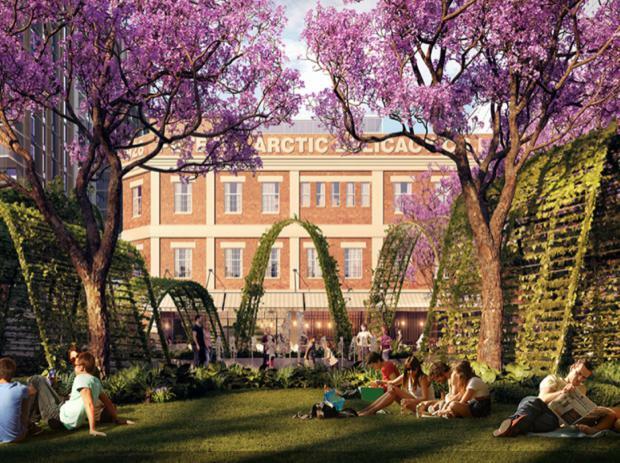 After a period of political debate, call-ins and controversy, the West Village development on the Absoe site in West End has been given approval by the Queensland Government. 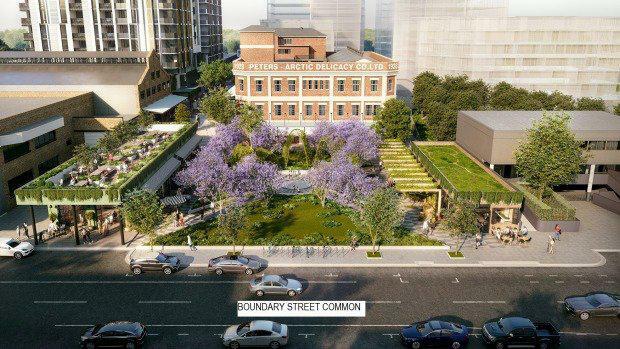 Developer Sekisui House is now responsible for bringing the $800 million West Village development to life after the approval came through from Deputy Premier Jackie Trad. However, the development will not be following its original plans, as Trad’s approval came with several conditions, as a result of her call in of the project earlier this year. Some of the key conditions for the site include a doubling in public green space and a reduction in site cover from 95 per cent to 80 per cent. 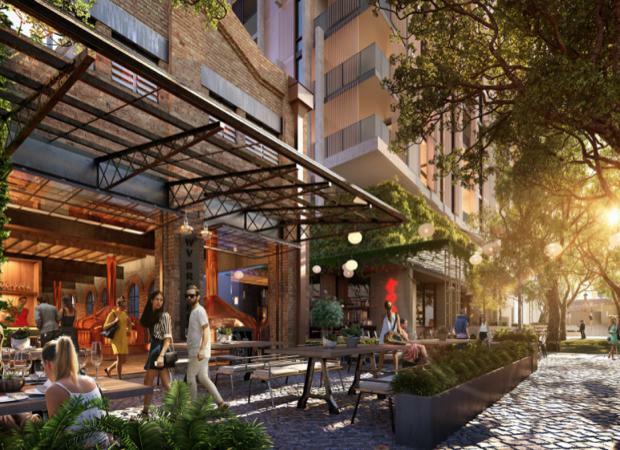 The number of overall apartments will also be decreased to a maximum of 1250, with around a third of the site going towards 24-hour publicly accessible open space, laneways and arcades. There is also be a childcare centre, artist-in-residence studios, a knowledge incubator and dedicated community-use studios. Artists' impression of West VillageSekisui House will also need to retain and re-use two of the local heritage buildings and are prohibited from residential construction on top of any heritage buildings included in the site. The development must also achieve a 5-star green rating,According to The Courier Mail, Ms Trad said she received more than 700 submissions from the community and stakeholders during the proposed call in period, with the majority supporting a call in and desiring a better urban design outcome. 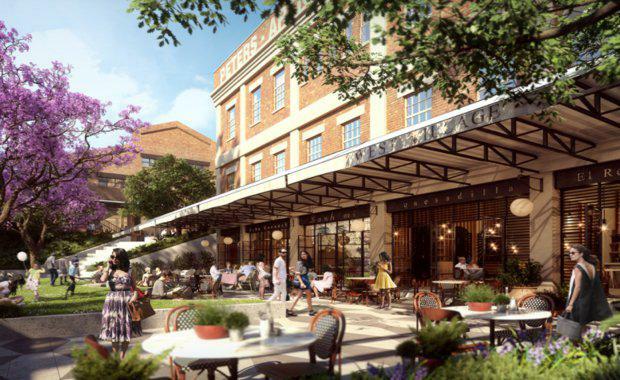 Artist impression of West Village, courtesy Sekisui House“This is a significant urban renewal project that will create thousands of jobs and it was vitally important that we got the planning right,” Ms Trad said in a statement. She said it was obvious there were significant state interests involved with the development including its economic significance, environmental factors, housing supply, liveable communities and ensuring that there is an effective and accountable planning and development assessment system. Demonstrated through her decisions on previous call ins, the Deputy Premier said her reassessment of the application was based on planning merit aloneThe approval of the development has caused some political contention, especially from Greens Councillor for The Gabba, Jonathan Sri, who according to the Brisbane Times has used social media to rebut accusations from Ms Trad about consistently misleading the community around the West Village call in. "You've repeatedly asserted that I've misled the community/ misrepresented the facts about the call in... I can't get a meeting with you, which means that I can't even get basic answers about what you consider to be the limits of your power. "It's frustrating to me that as the local and state reps for the same area, we don't talk to each other more often and work together more closely. We should be working together rather than trading blows over social media." On a different front, The Courier Mail revealed that Opposition Leader Tim Nicholls said Ms Trad’s project call in was more about protecting her seat from the Greens than producing a better urban development. “This isn’t a great result for the community, this isn’t a great result for the development investment industry and it is not a great result for people looking for jobs,’’ he said. Ms Trad has said her decision to call in West Village was not based on politics.